On the first of June the Germans struck at Fort Vaux and a siege of medieval proportions took place, with the attacking forces on the roof and round the ditches, and the French defenders inside. 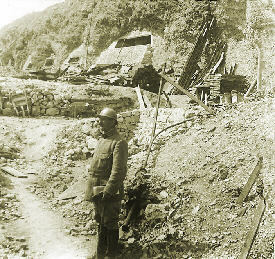 After seven days the garrison surrendered with military honours and the way was now clear to advance along the ridge towards Verdun which was overlooked by the next Fort, Souville. But, at the same time on the Eastern Front, in far away Russia, Russian General Brusilov hit the Austrians very hard in Galicia and their front collapsed. The commanding Austrian General had to ask Falkenhayn for help and the only immediate help he could offer were the three assault divisions waiting behind Fort Vaux. Off they went to Russia only to find that the situation was under reasonable control; so they came back. This charade effectively delayed the next leg of the Verdun offensive until the evening of June 22nd. 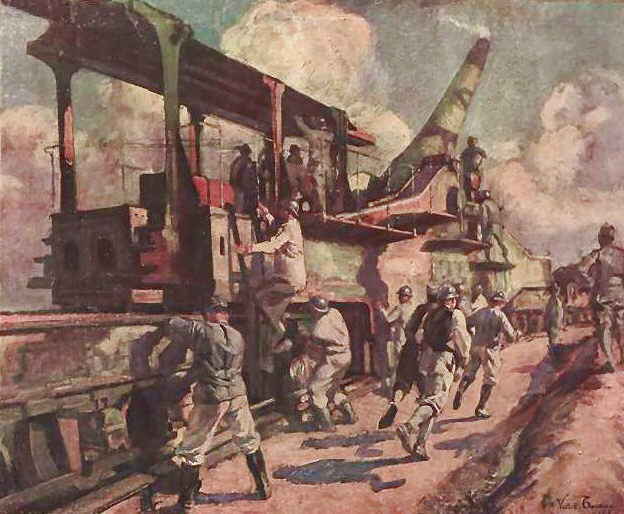 On that day the Germans unleashed their new Green Cross (phosgene) gas, so named after the paint markings on the shells, and flooded the French infantry positions with it. They flooded the road joining Fort Souville through Fleury village to the Ouvrage de Thiaumont, very near to where the Jewish memorial stands today. They flooded the gun positions and early next morning it seemed that they might be successful. Attacking at dawn the mass of infantry crossed the Fleury road, swept over Thiaumont and on down that ridge to the Ouvrage of Froidterre. They took Fleury village and reached the edges of Fort Souville. And then they slowed down; the French gas masks were more efficient than the Germans believed they would be, the gas settled in the hollows in the ground, thus not affecting French artillery on higher ground which had now reorganized itself overnight? ?..and the Germans did not have enough gas to reach neutralize the French defence on the flanks of their attack. After a night of chaos the French had made a remarkable recovery and, under this pressure, the German attack stalled. The hot summer weather with its long daylight hours had now arrived and the battlefield seemed to contract into an area of about 4000 yards square centering about the vanished village of Fleury. The entire effort of the two armies was to take or to hold this small area massacred daily by artillery fire. The idea of slaughtering the French army at little cost to the Germans was long gone. All that was left now was personal survival in a foul stinking abattoir where a man?s life was worth nothing. They became hardened to hardship. Life in the trenches was long periods of boredom interspersed with moments of screaming fear. Life was dominated by "Stand To" at dawn and dusk when every man fixed bayonets and stood waiting for the never coming German attack. Life was dominated by the issue of the rum ration, by sentry duty, by the need for sleep and by never, never ending work. It was dominated by the need to be alert for snipers, for incoming mortars called miniewerfers, for incoming artillery, and by the thought of ?when can we be relieved into support positions, into reserve, anywhere out of this lousy place?. It was dominated by bad food, bad teeth, bad sanitary arrangements, lice, and fear. Post delivery was excellent and news from home waited for with baited breath; it made life worth while when the Post corporal arrived. But soon it would all be over. The "Big Push" was being talked of and the lads had all seen the guns moving into position ready to destroy the Germans opposite. Their officers, through their NCO's, assured them that the guns would destroy the men and the trenches opposite and all they would have to do was "light their pipes, shoulder their rifles, and they would be able to walk to Berlin". There was talk of a great battle raging in Verdun. But this was what they had joined up for. When this lot was over they could all go home and boast that they had helped to end the war. The Germans didn't see things in this manner and for two years had dug busily into the hard chalk of the lovely rolling Somme countryside to make miniature cities underground far beyond the reach of the shelling of the British, and here they lived in reasonable safety and some comfort. Every day they practiced running up the steep stairs and ladders from the depths with their machine guns and setting them up on the parapets ready to beat off the invaders coming across No Mans Land. The British guns started firing in earnest on 24th June although the date for the assault had to be extended to July 1st. They fired approximately 1,750,000 shells, most of them shrapnel. 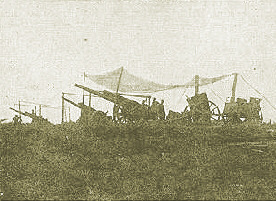 The French guns fired a much larger proportion of heavy howitzer shells which the British did not yet have although their total effort had decreased appreciably because of the massive requirements of the Battle of Verdun, still roaring away to the east. The gunfire deafened the ears of the lads, and through their periscopes and sneaked looks over the top, they watched the german trenches disappearing in the smoke and shell bursts. Obviously nothing could live in that lot. As Saturday July 1st 1916 dawned, it was obviously going to be a glorious and hot day. 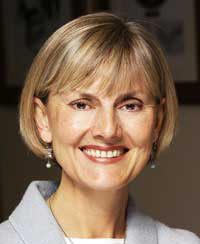 The fourth in the Trip-Wire's series with contemporary WWI writers, this interview features the author of the award winning Maisie Dobbs mystery novels. 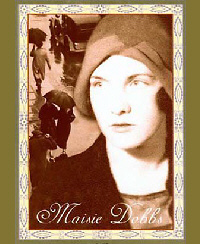 Maisie, if you haven't yet met her, served as a VAD Nurse on the Western Front and has found a postwar London career as an investigator and consulting psychologist. Remarkably, her most memorable cases seem to have a tie to the events of 1914-1918. Click here to read our interview with Jackie. Here's your grenade -- you want fries with that? 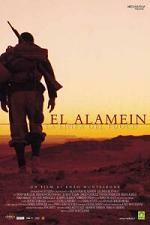 The second battle of El Alamein was fought between October 23, 1942 and November 4, 1942. General Bernard Montgomery commanded the British Eighth Army and was opposed by Field Marshall Irwin Marshall. Both Montgomery and Rommel were veterans of the First World War. Montgomery had served on the Western Front and was severely wounded in 1914. He then served as a staff officer for the remainder of the war. His Great War experience brought about a determination during the Second World War to win battles at a minimum cost in human life. In this, he was not alone, no wartime commander who had witnessed the horror of the prolonged ineffectual battles of the First World War wished to repeat the experience. Rommel joined the German Army in July 1910. By the end of the First World War he was a captain and had been awarded the Pour le M�rite. In 1937, Rommel published Infanterie Greift An: Erlebniss und Erfahrungen (Infantry Attacks, English edition). In his book he drew upon his experiences to provide lessons for infantry commanders. A brilliant tactician, Rommel was well suited to desert warfare. The war in North Africa has been the topic of numerous movies: Desert Victory, The Desert Fox, The Desert Rat, Rats of Tobruk, etc. Two movies from Italy are currently available on DVD, The Battle of El Alamein (La Battaglia di El Alamein, 1969) and El Alamein: The Line Of Fire (El Alamein: La Linea Del Fuoco, 2002). 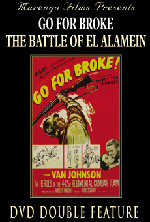 The Battle Of El Alamein from Marengo Films (www.marengofilms.com) tells the story from the view of an Italian Army Bersaglieri Unit assigned to Rommel's Afrika Corps. Of particular interest is the portrayal of Montgomery by Michael Rennie and Rommel by Robert Hossein. Rennie is probably about a head taller that the real Montgomery and his Montgomery is arrogant and cold-hearted, an almost hissable villain. Rommel is presented in a more sympathetic light and is even seen having a somewhat anachronistic meeting in a rowboat with Admiral Canaris to plot against Hitler. The Italians are presented as brave but foolishly involved in a war seemingly not of their making. The armored fighting vehicles used in the movie are a combination of authentic World War II and postwar vintage. The DVD from Marengo Films is dubbed and offers a non-anamorphic wide-screen presentation that runs 96 minutes. This is the best looking version of The Battle Of El Alamein I have ever seen. The following are thanked for their contributions to this issue of the Trip Wire:Gary Van Loon Sidney Clark, Christina Holstein, Bob Denison, Bob Ford, Tony Noyes, Esther MacCallum-Stewart, Andy Melomet, Len Shurtleff. Until next month, your editor, Mike Hanlon.